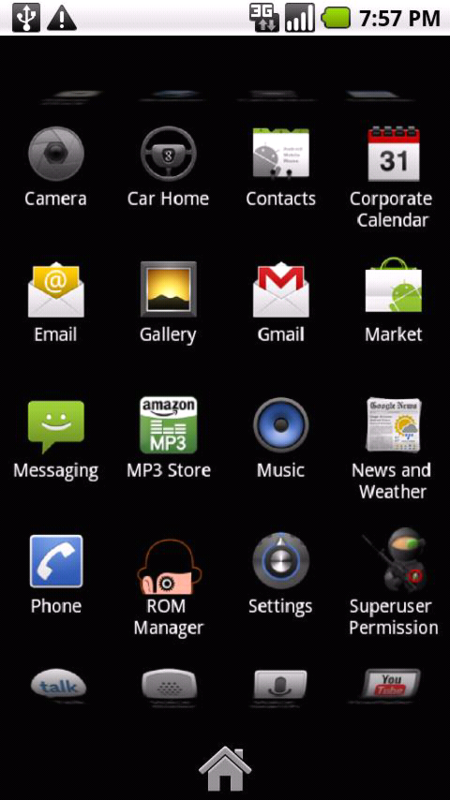 Frustrated that you didn’t receive the Nexus One’s 3D app drawer/launcher when your official 2.1 update finally arrived? You can turn that frown upside down today my friends. (So cheesy!) 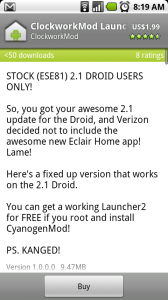 The Launcher2 has hit the market for non-rooted 2.1 users. Yes NON-rooted 2.1 users and works like butter. How about a third time? 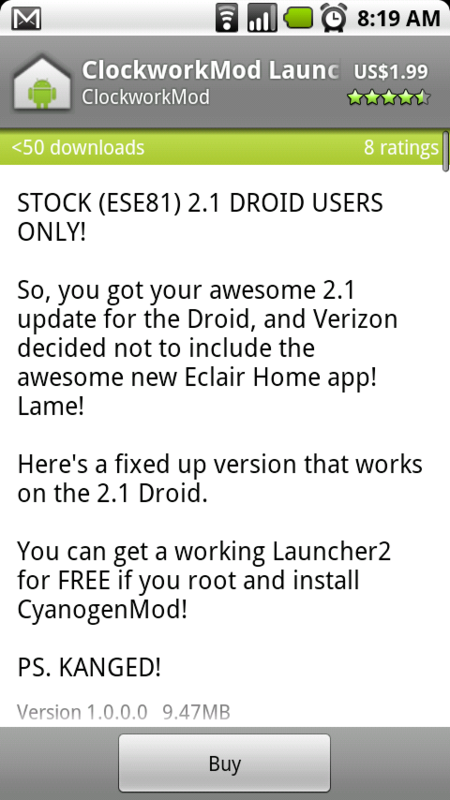 Make sure you are running the official 2.1 update and have not rooted a thing. It will cost you $1.99 but that cash goes straight to the developer who happens to be the same guy that keeps pumping out CyanogenMod ROMs. Head to the market now and search for either “Clockworkmod Launcher” or “Launcher 2” and you should find it. Update 10:15AM 4/6: Early reviews are spread throughout the comments. Not one issue that I can see. Although, it should be noted that this launcher does not have the 4 persistent apps like the HelixLauncher and to some people is reason enough to not use it. It does however work flawlessly in landscape mode which the previous ported version struggled with. You get 5 screens and can consider yourself a 3D drawer superstar. Update 2:12PM 4/6: Looks like the price has been raised to $2.99. Koush must have seen all of the Droid Life readers flocking to download. Sneaky. Also to be noted, Koush has responded in the comments with good news for those of you wanting the 4 persistent icons. He plans on adding them in a future release.